Roasting vegetables gives them so much flavor. 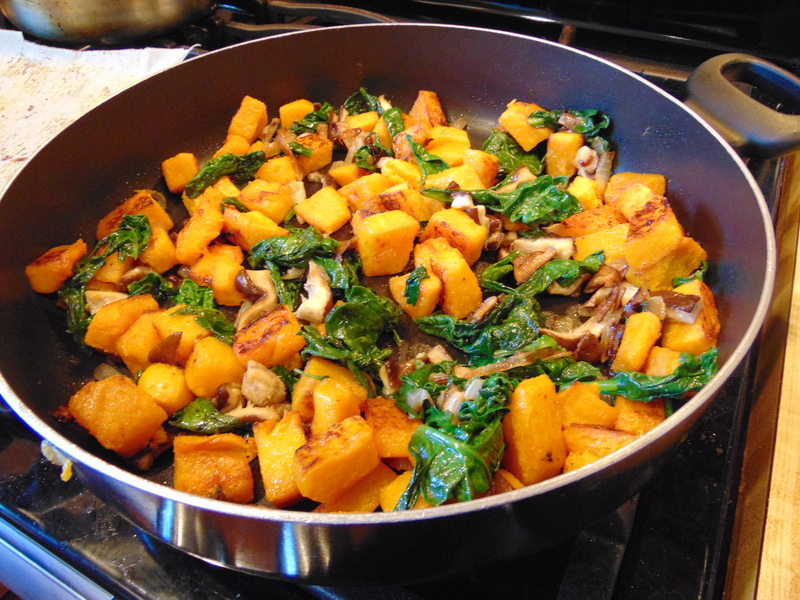 This is one I love to cook in the fall, especially with squash from the garden. Ingredient amounts are approximate. I usually just eyeball it, but I tried to come up with quantities for those who prefer that. It’s really hard to mess up this recipe other than burning it. You can play with the spices you use if you like. Cubing the squash is a good arm workout, like real life exercise. After tossing squash in oil, roast in the oven. Caramelizing gives a good flavor. You can even just eat it like that. Parchment paper is a wonderful thing. What a time saver and cookie sheet saver. Where have you been all my life? Brown the onion in a pan with the oil. Then add the mushrooms and cook down. The shiitake are drier mushrooms, not much liquid comes out of them, however the baby bella I’ve used cook more liquid out. 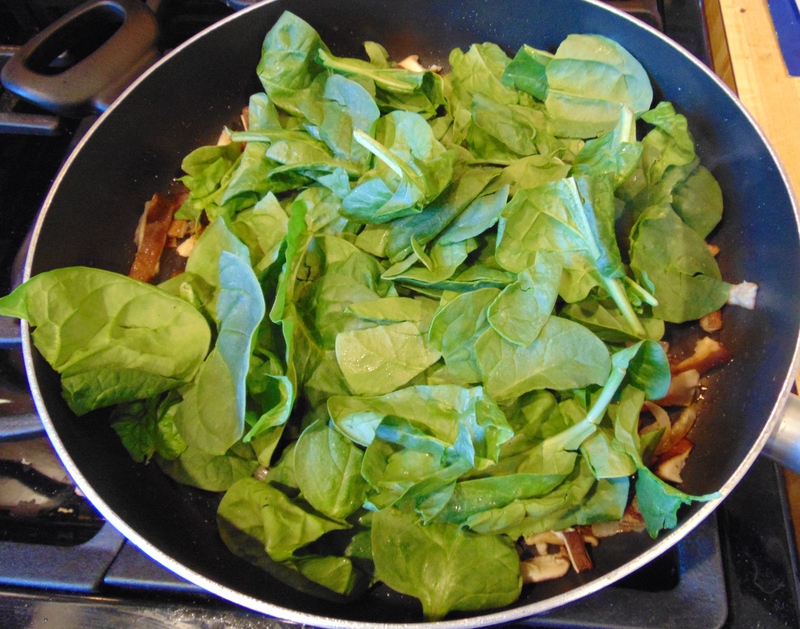 You will want to let that evaporate so it is not soupy.Then add the spinach. It looks like a lot, but as you can see, it cooks down to nothing. You can even add more if you like more spinach. Toss the squash with the base and enjoy! You can probably add many different types of roasted vegetables to the base mix. However, my favorite is the butternut squash. Preheat oven to 400 degrees. Line large cookie sheet with parchment paper. Take 2T avocado oil and stir in onion powder, garlic powder and salt. 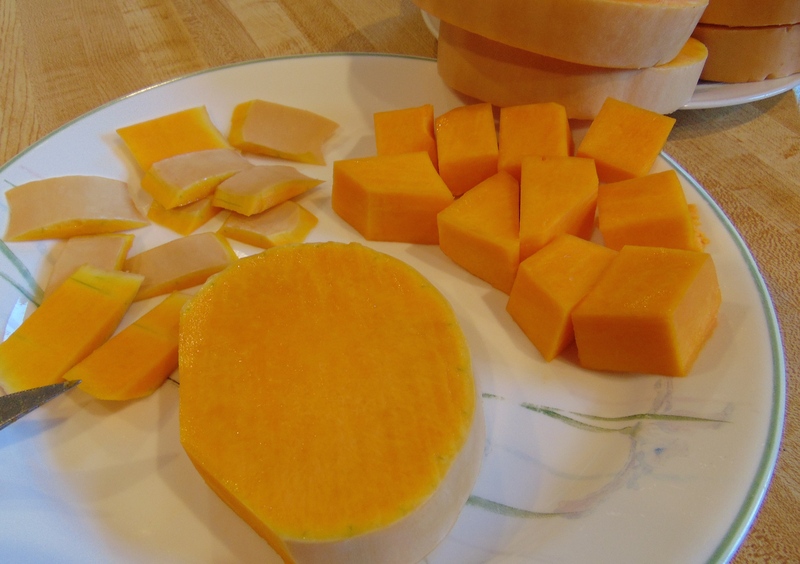 Pour over cubed squash. Stir until well coated. 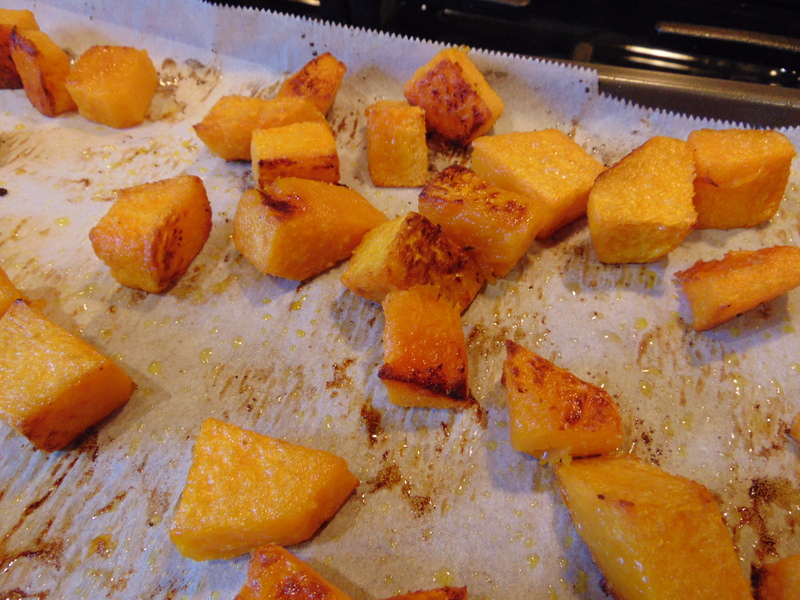 Lay squash on cookie sheet in single layer, spreading evenly. Cook squash roughly 40 minutes in the oven turning half way through. You may need to adjust the time depending on how much squash is on the pan. It should be nicely caramelized. While the squash is cooking, pour the other 2T avocado oil in a large pan. Place the onions in the pan and cook until caramelized. Stir frequently to avoid burning. Add mushrooms and cook them down letting any liquid from them evaporate. 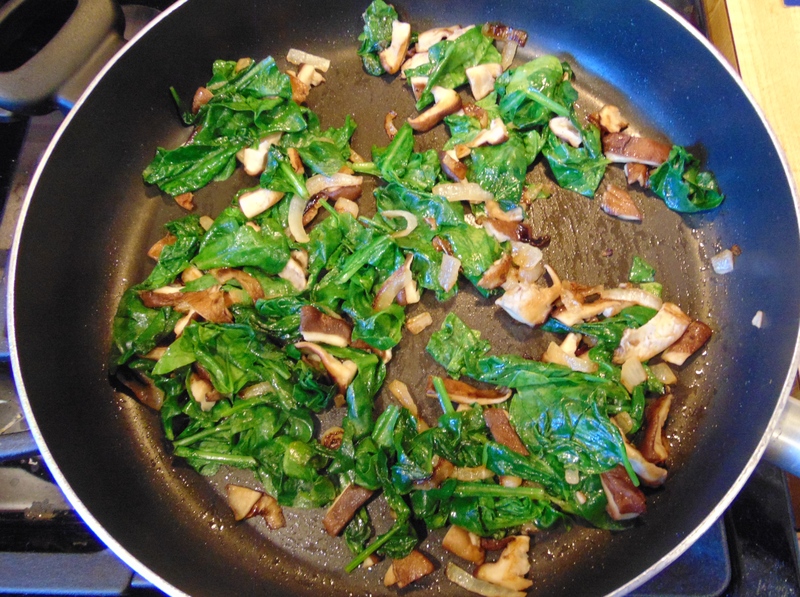 Add spinach and cook until reduced. Add roasted squash to the base mixture (onion, mushroom and spinach) Toss until well mixed.